QUARTIER SAINT LEU – Leu Duo, au premier abord, c’est une devanture et une enseigne discrète. Une fois à l’intérieur, on mesure mieux les prétentions du restaurant : élégance et souci du détail. L’accueil se montre très chaleureux. CARTE COURTE – Sympathique restaurant de cuisine traditionnelle, Leu Duo a pour lui une carte changeante. Le chef aime varier les plaisirs et s’adapter à votre timing (express, s’il le faut, le midi, plus tranquille le soir). PRIX ABORDABLES – Les gérants, Julien et Élise, font l’impossible pour votre bien-être. Les prix, eux, restent abordables. Une adresse sur Amiens recommandée par certains guides. Very enjoyable visit. Good food with interesting flavours. The quality of the service and food was fantastic. I dined alone and the server spent as much time with me as the large tables to ensure the food and service was excellent. I wasnt forgotten as she was extremely busy and provided exceptional service. I highly recommend this resturant if you are in the area. Pretty decent meal. Nothing to write home about. Food was the right side of mediocre. House wine was good. Unfortunately, our experience was really disappointing. On a nice and busy day in Amiens Leu Duo was nearly empty and lacked any atmosphere. Food was very bland and fish did not feel fresh. Excellent inventive food - very tasty but not over filling - ideal for an occasion or for spoiling yourself. 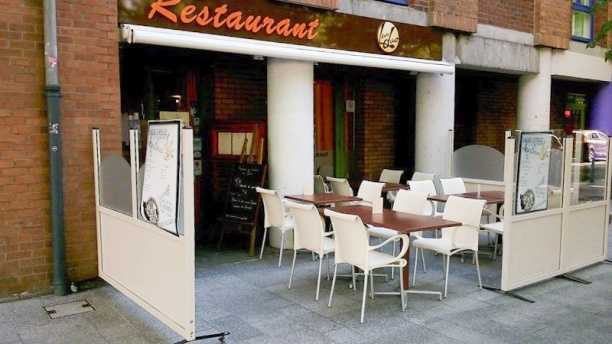 very proper, very nice, very good meals, we propose to choose this restaurant for dining with 2 or friends , it´s worthy to visit. The menu is short, but the dishes are tasty. We had "ficelles picardes" (savoury crêpes stuffed with ham, mushrooms and served with a topping of melted cheese), chicken stuffed with tomatoes and entrecôte (beef). They have a good selection of wines and very good music, which they play very softly for a nice atmosphere. The negatives: it is not located on the banks of the river, the interior is rather bland and service was very slow at the end. Overall, the dining experience was good. Restaurant discret en plein coeur de St Leu. Cela faisait longtemps qu'il me faisait de l'oeil. Extrêmement agréable et cuisine de qualité. Le prix est plus que raisonnable. Un excellent moment. Je conseille vivement ! I took my dear friends from Amiens == two generations whom I've known forever -- to Leu Duo on the strength of Trip Advisor ratings. This restaurant did not disappoint. The food was outstanding, flavorful, and reasonably priced and we had a really enjoyable time. Recommend it highly! Quality food. My duck was suburb. My wife had the lamb and potato combo which was presented well and was delicious.Raspberry dessert was superb my only disappointment was the Loire red which was a bit young and did not match with duck.